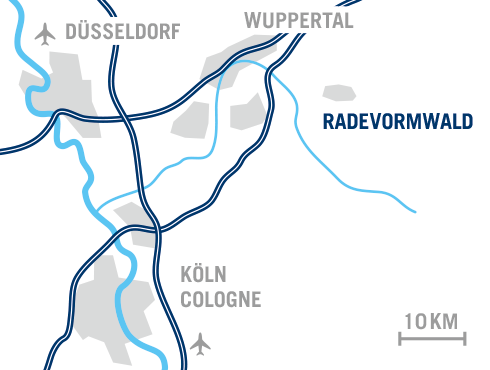 Our premises in Radevormwald are located in the middle of North Rhine-Westphalia in the Bergisch Land area. The infrastructure is very good and the airports of Cologne and Düsseldorf can be reached in less than an hour. Within the town Radevormwald, we maintain four close situated production sites. This means for you: short distances and quick response times.